If you get regular Groupon emails you know that they’re always trying to be a little edgy. Or, at least sometimes, their humor is a bit tongue in cheek. This time, however, they either missed funny entirely, or someone re-purposed their Mother’s Day email and didn’t check the results of the Find and Replace function completely. Whoops. 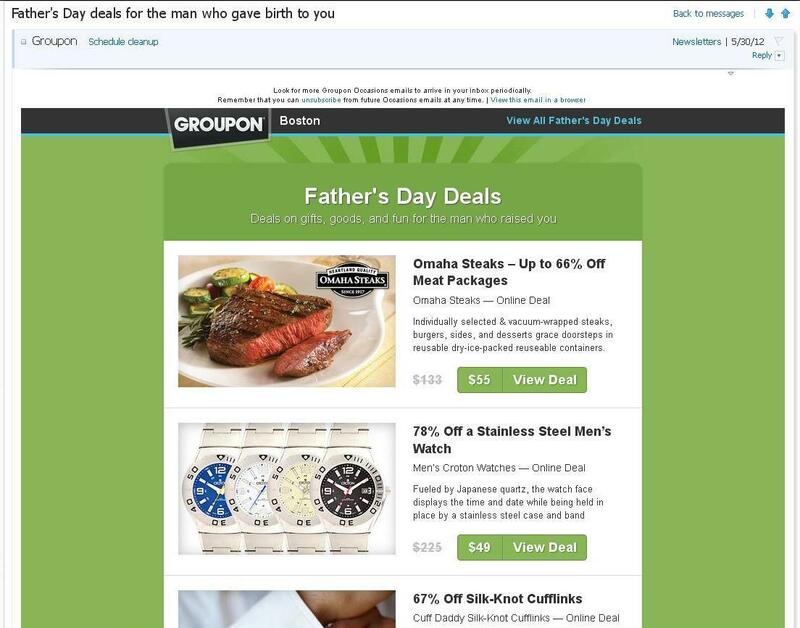 Father’s day shopping from Groupon. Previous Previous post: How cool is this?